Officials of Kasapreko say by February next year, they will begin to bottle, package and export what they describe as ‘low hanging foods’ comprising Sobolo,hausa beer, to the international market. These local juices remain popular and also has good health benefits among the rank and file of the Ghanaian populace. It is with this rationale that the Group chairman of Kasapreko, Dr Kwabena Adjei says they intend to leverage on. “This is our niche.This is what we did with Alomo bitters. We used the herbs from the forest and extracted the authentic flavours to introduce into our bitters and is now selling worldwide. We want to use the same system into the soft drinks industry. With our new blending machine we can now do our favourite Sobolo,Asaana,Hausa beer, we may even go into Piito but that will be long term” Dr Kwabena Adjei told B&FT. According to him, Kasapreko plans to “pioneer the local drinks industry since the multinationals are not there yet, if they appreciate what we do, they can come and join it later” he added. Africa is still lagging behind as far as taking advantage of its natural resources given its crops and arable land,whilst in other parts of the world, they go to great lengths in search of organic products as a shift from artificial and lab-generated food products. 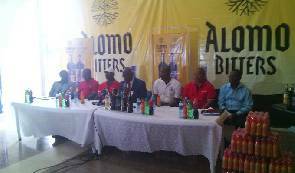 However, Kasapreko Company Limited (KCL), a hitherto alcohol distillery, say they now intend to convert some of the country’s herbal resources into healthy beverages for nourishment. Dr Adjei also stated that the company was currently looking at ways in which it could produce drinks from cassava. The company recently acquired 40 per cent shares in Caltech Ventures Company Limited, an agro-based institution with expertise in cassava production and processing. According to the Ministry of Food and Agriculture, Ghana produces about 16 million tonnes of cassava, of which about 11 million tonnes is available for non-industrial (human) consumption. However, only four million tonnes of the crop which is available for human consumption is actually utilised, leaving more than seven million tonnes as surplus.